Today Bollywood is weaving stories onto social media prior to hitting the theaters. Growing beyond the herd mentality of gaining numbers on social media, Bollywood movies are aggressively being promoted on social media. Lootera – the latest romance drama film which is inspired by “The Last Leaf” from O Henry – has set a new benchmark in movie promotions on social media. 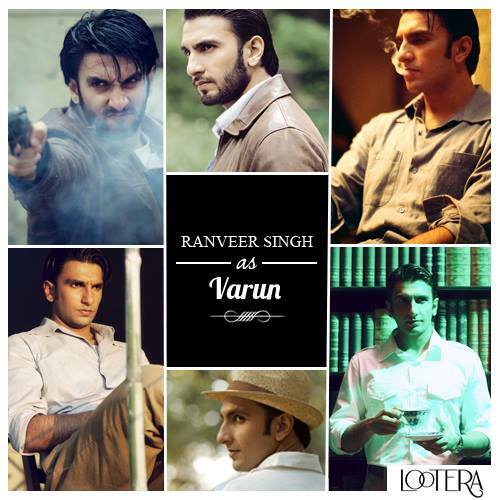 The movie directed by Vikramaditya Motwane starring Ranveer Singh and Sonakshi Sinha in lead roles releases today. Set in the year 1953, the movie is an effort to bring back the magic of yesteryear romance with the protagonist Pakhi and Varun Srivastav played by the main leads Sonakshi and Ranveer respectively. To recreate the same magic on social media, the marketing team at Balaji Motion Pictures assigned Mumbai based digital agency The Glitch to carry out the social media activities three months back. While talking to me, Mehak Sabat, Head – Bollywood Digital Marketing at The Glitch shared that the agency got a brief – Lootera is not going to be one of those heavily promoted movies sitting on the face of the fan but would be out there trying to bring the timeless classic romance on social. The agency got ample support from the marketing team of the production house and the director in terms of content and the kind of promotions to be carried out for the movie. The agency had to brainstorm a lot in terms of content strategy for its social media channels –Facebook and Twitter. The reason being the leading stars have a great fan following on Facebook and the director is quite well known on Twitter. To build up the audience and create buzz about the movie, the agency started by releasing a digital poster of the movie. Mehak tells me that it was one of the first efforts that started the trend and now being followed by others. With this the trailer was launched and that got the people on Facebook talking about the movie. The agency does accept that initially it did indulge in some cheesy stuff like tagging friends but the design of the visuals were quite classy. The need was to create buzz among the fans of Ranveer and Sonakshi. While I write this, the India Twitter trends are dominated by hashtags being run by the agency for the movie. Mehak did share that getting trended is not the measure of your social media campaign’s success but for movies it is quite required. Getting trended increases visibility about a movie, which has been running a campaign for no more than three to four months. The Facebook page, which has more than 200K fans, has explored Facebook apps at different intervals of promotions. 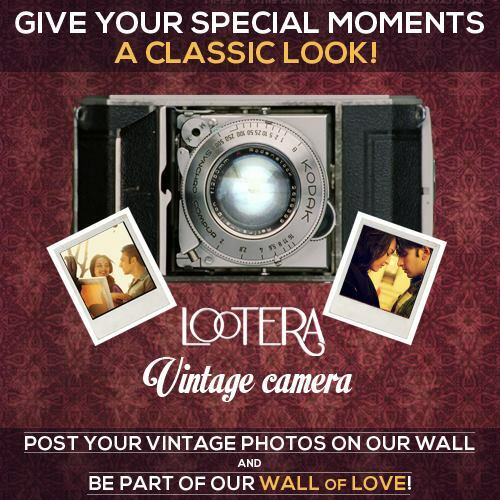 While the trailer was launched “Lootera Talkies” Facebook app was launched too, that allowed fans to book seats to watch the theatrical trailer. Fans could reserve their seat in the theater once they invited more than 5 friends to watch the trailer. After this the Facebook page witnessed content of the music launch. Mehak updated me that since the movie had the feel of 50’s, the use of radio was quite frequent in the songs so the agency developed the “Lootera Radio.” The app would ask fans to shift the tuner and with a new frequency you could hear the amazing music composed by Amit Trivedi for Lootera. The movie has stunning visuals and the agency wanted to bring the same feel onto social media while also engaging fans with them. In order to give the filter feel of Instagram, the agency built an app called “Vintage Camera” which would ask fans to upload images and the app would apply different filters to the image that one could download. These images also became a part of the “Wall of Love”- app for crowd sourcing images from fans. Besides this there were a few more apps created with an intention to bring the movie closer to fans on social media.